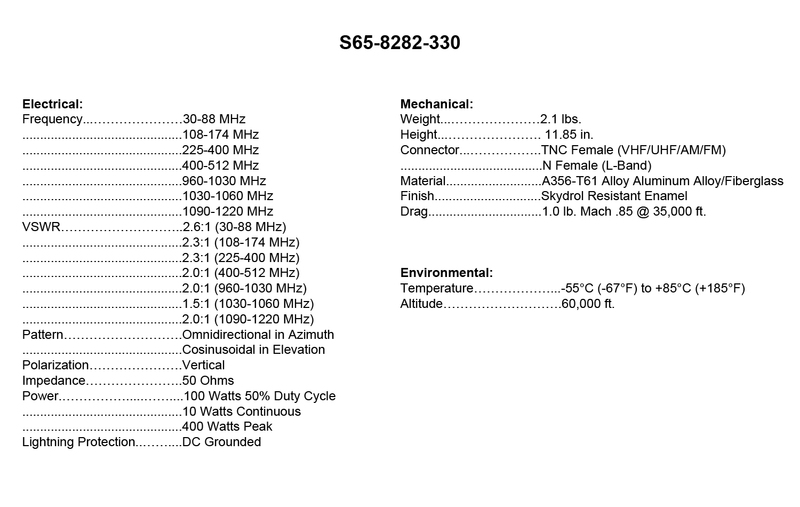 S65-8282-330: High-power VHF/UHF/AM/FM and L-Band blade antenna capable of operating at 100 watts. 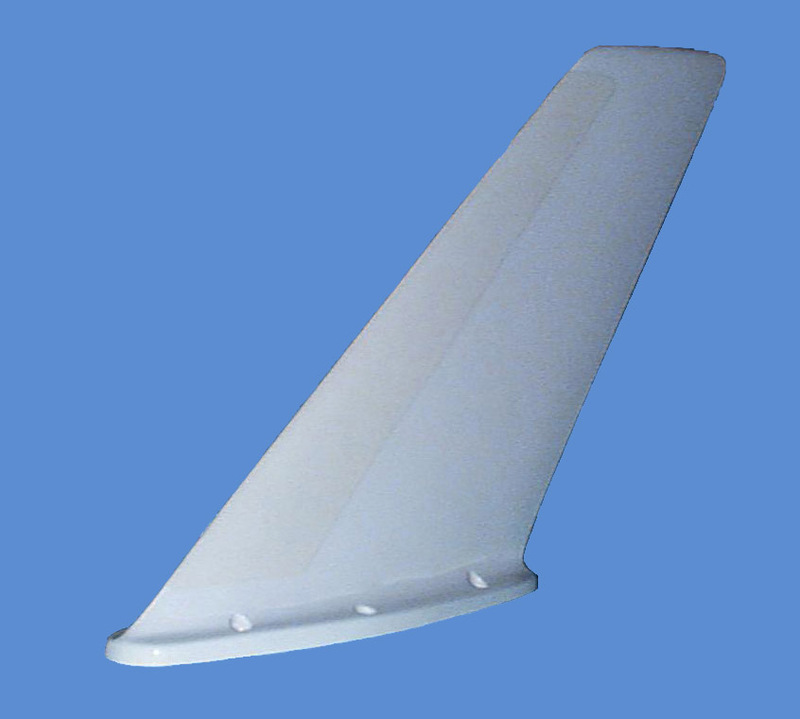 Low-drag blade design for speeds up to Mach 1. Provides low VSWR over the operating band. The 6-hole bolt pattern is designed for universal mounting and is interchangeable with Collins 37R-2U or similar antennas. Hermetically sealed and DC-grounded. 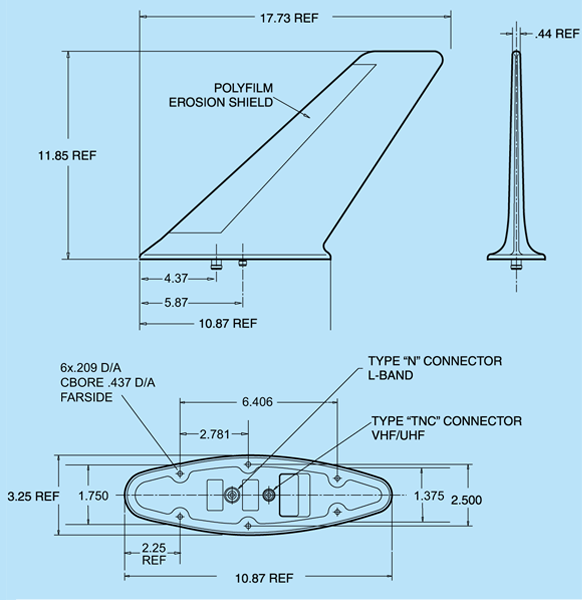 Ideal for use in antennas replacement when a multi-frequency antennas is required. FEDERAL & MILITARY SPECS: DO-160A, MIL-A-772, MIL-E-5272, MIL-E-5400.